If you've been creating digital certificates to attach to VBA projects you may well find that you want to delete them on occasion, particularly if you create a new certificate every time you run a VBA training course! The process for doing this isn't complicated, but neither is it obvious. Click the Start menu, type Run and press Enter. Alternatively you can hold the Windows key and press R.
Type into the search box at the bottom of the Start menu. 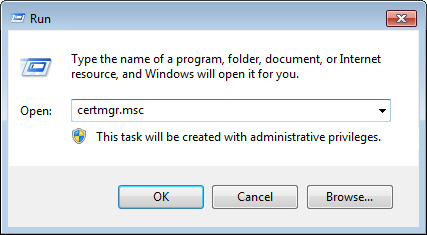 In the Run dialog box, type certmgr.msc and press Enter. You can also just click the OK button when you've finished typing. You can use this tool to modify your digital certificates. 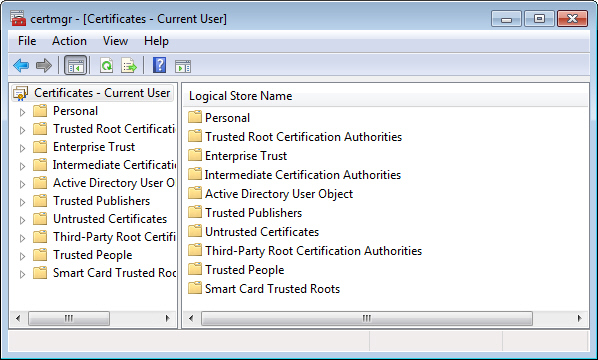 Expand the Personal folder and then select Certificates. Use this tool to delete a certificate. Select the certificate you want to delete. 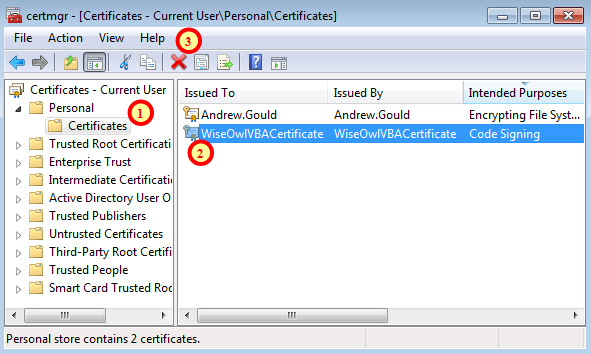 Take care when selecting certificates to delete! Digital certificates that were created for VBA projects will be labelled as Code Signing. Make sure that you only choose these items to delete. Click the red cross to delete the selected certificate. Confirm that you want to delete the certificate by clicking Yes. Once you click Yes your certificate will be deleted. 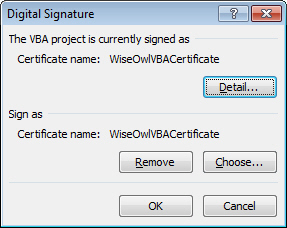 Strangely, if you've already attached the certificate to a VBA project it will still work as though the certificate exists. You won't be able to assign the certificate to new projects however. Previously signed projects will retain the certificate that you've deleted.